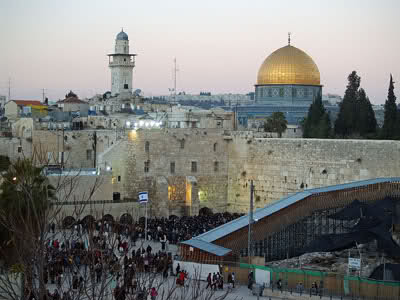 In looking over a collection of poetry in which there is a reference to wisdom, I came across “As We Pray,” a poetic exhortation to “pray for the peace of Jerusalem.” I also thought of a particular day that is set aside for various groups to come together to pray for Jerusalem. One such occasion is the first Sunday in October, when hundreds of thousands gather across the globe to offer prayers to God on behalf of the Holy City. The exhortation to pray for Jerusalem is not confined to one specific day of prayer, but the indication is that such prayer should be ongoing. Last year, I presented a series of blog entries entitled “Twelve for Twelve in 2012,” based on the 12 verses of Isaiah 62 which was the personal theme passage that I had adopted at the beginning of the year. In one of the entries we find a reminder to call unto God “And give him no rest, till he establish, and till he make Jerusalem a praise in the earth.” For a more detailed discussion of that verse check out “Seven for Twelve on 7-4-12.” I am simply suggesting that the reminder to pray for the peace of Jerusalem should be ongoing, particularly in light of the ever-escalating critical conditions in the Middle East. 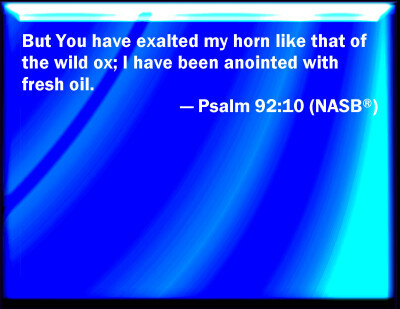 The poetic entry for today is “A New Anointing” with a reference to the anointing oil that I mention in the journal excerpt. Yielded and still, I submit to all that He has planned. David Baroni gives us a spirited rendition of “A New Anointing,” a perfect musical selection for today’s blog entry, more “Good Medicine” placed on the shelves of Dr. J’s Apothecary Shoppe. The number 12 represents governmental order, according to E.W. Bullinger, who speaks of 12 as “a perfect number, signifying perfection of government, or of governmental perfection.” On the 12th day of this series of entries on wisdom, I recognized that lately I have been thinking about putting things in order, in that I have been undergoing a period of intense personal introspection. One of poems that relates to this topic also contains a reference to wisdom. The last gate mentioned in Book of Nehemiah is the Miphkad Gate which is associated with inspection, gathering, and assessment. The gate repaired by ministers of the market place. And stand before God Almighty, who alone is good. And fully transform my thoughts to a Kingdom mindset. And by obedience reap benefits of the Kingdom. Hillsong offers a moving rendition of “Search Me O God,” an appropriate musical accompaniment to this blog entry, another dose of “Good Medicine” from the shelves of Dr. J’s Apothecary Shoppe. This blog entry is a variation in a series featuring a daily dose of “words to the wise,” poetically expressed from the Book of Proverbs, in that its inspiration is another source. Today’s entry is a slight variation on the Words of Wisdom series but “good medicine,” nonetheless. 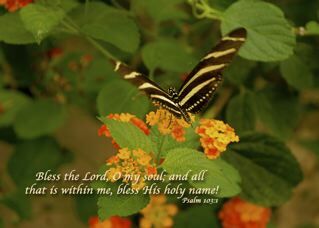 A perfect accompaniment of this poem is the worship song “We Choose the Fear of the Lord” by the Maranatha Singers, another dose of “Good Medicine” from the shelves of Dr. J’s Apothecary Shoppe. As we go through life, we encounter difficult situations whereby we can grow if we apply the lessons learned. There are no mistakes—only lessons to be learned. I began to think of some of the lessons that God is teaching me this season of my life. As a life-long learner, an ever-eager student in the University of Life, I am continually learning more about God and my relationship with Him, particularly in terms of applying the principles of wisdom, not just this month during this time of sharing “Words of Wisdom” from the Book of Proverbs, but each day abounds with opportunities to learn and grow. So I speak the truth and refrain from speaking lies. Like Jesus, I want my tongue to speak what God says. I seek not just a word but the Spirit of wisdom. The last line of the poem brings to mind another song that captures the essence of that for which I am seeking: “Seekers of Your Heart” rendered by Steve Green, Sandi Patty and Larnelle Harris. Come, dine with Lady Wisdom, consummate hostess. She invites you to partake of her sumptuous feast. All who eat at her table will know great success. 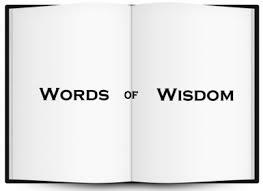 For Wisdom is principal: the first and not the least. Come, be satisfied at her banqueting table. With fruit from above—gentle, pure and peaceable. To give long life is the pleasure of her perfect will. Come, buy without money and purchase without price. The gracious Lady freely gives to those who ask. From her bounty she has more than enough to suffice. Your goblet will ever overflow from her flask. “Come and dine with me, Wisdom calls throughout the lands. Glory, honor, wealth and favor flow from her hands. Today’s blog entry concludes with a YouTube video of a tribute for Mother’s Day 2007 from Cornerstone City Church, containing excerpts from the God’s Word Translation of Proverbs 31 with background music. This blog entry is another in a series featuring “a daily dose of “words to the wise,” poetically expressed from the Book of Proverbs. But without faith, it is impossible to please him, for he that comes to God must believe that He is, and that He is a rewarder of those who diligently seek him. To unleash our true purpose and passion and then turn it into profit, we must establish a firm foundation upon which we build. As followers of the Lord Jesus Christ, faith is the bedrock of our lives. We define faith as confident assurance, trust and conviction that we will prevail. Faith–“the substance of things hoped for, the evidence of things not seen”– operates beyond what we see, for we walk by faith, not by sight. In terms of illustrations of faith, we find excellent examples from the Bible and from the lives of great men and women who achieved impossible dreams. Despite a barrage of reasons why they would fail, they transformed failure into success. Without faith it is impossible . . . but with faith, the impossible becomes possible. We, who live in the state of Ohio, recognize and rejoice in our State Motto: “For with God all things are possible.”Indeed, faith is our solid foundation. 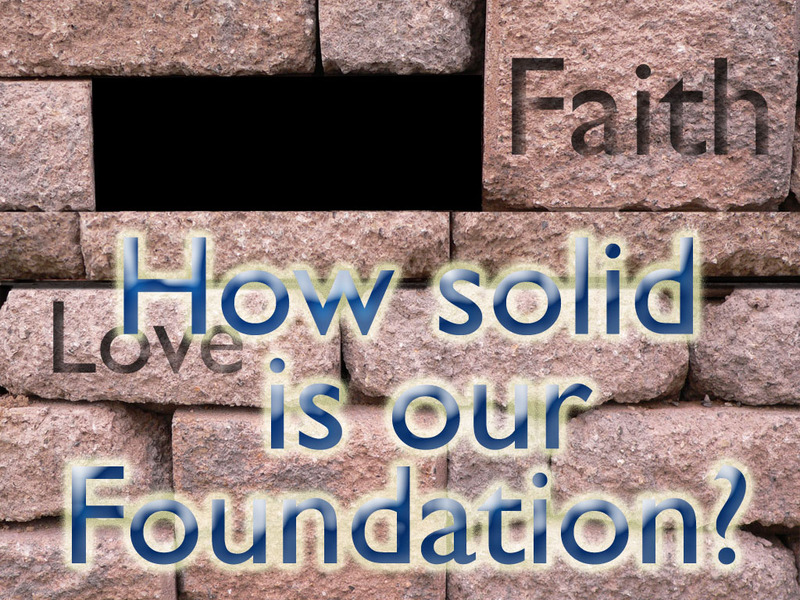 Like the wise man who built his house on the rock, when the storms of life approach, if we have laid a firm foundation, the house that we build will stand, for faith is our sure foundation. Wisdom has built her house; she has carved its seven columns. She has sent her servants to invite everyone to come. She calls out from the heights overlooking the city. And align my life in synch with the coming Kingdom. For nothing can deter me from my destiny. Faith and Wisdom are two vital components of building our lives as committed believers who walk in the power of God.